A very interesting next four days coming up for the Philadelphia Phillies and the St. Louis Cardinals. Two first place teams with dominating pitchers and hitters on both sides. Catch this roster of names… Howard, Pujols, Utley, Holliday, Werth, Ludwick, Halladay, Carpenter, Wainright. This sure sounds like a possible NLCS preview. But what will make this series even more interesting is the timing. 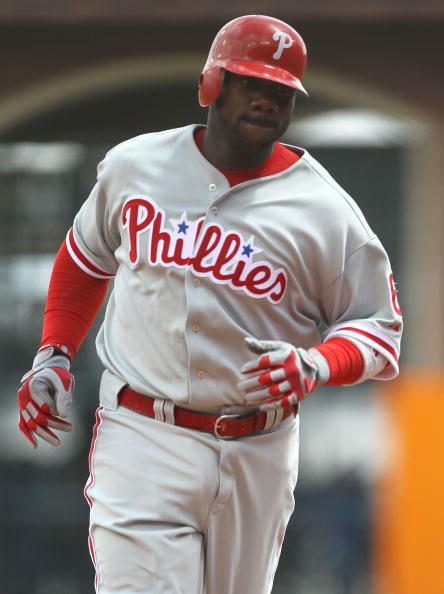 Just days after receiving a 5-yr, $125 million extension, Ryan Howard meets on the field with what many experts call the best player in the game… Pujols, who is getting ready to cash in on his great success so far. If Alex Rodriguez is would $270 million over 10 years, what do you this that Pujols is worth. Could we be looking at our first $30 million/ year player. I don’t think there is much doubt that when Pujols’ agent sits down with the Cardinals he will focus on the numbers that Pujols has put up against A-Rod. With the way that salaries have escalated over the last 20 years, I don’t think there is much doubt that Pujols will get $30 million during at least a couple of those seasons. And it probably means that the Cardinals fan base is looking at an increase in ticket prices. But I don’t think they will mind as long as they keep this homegrown talent in the fold. No doubt that part of the reason the Phillies re-signed Howard is that they know that they will make some of that money back in merchandise revenues. Well, Pujols is an even bigger star in St.Louis than Howard is in Philadelphia. The cash registers will be ringing long and loud in the city by the Mighty Mississippi. So get ready for a great battle the next few days one on the field and one in the wallets of the owners.